Juki HZL-LB5100 Review - Is this machine good for you? 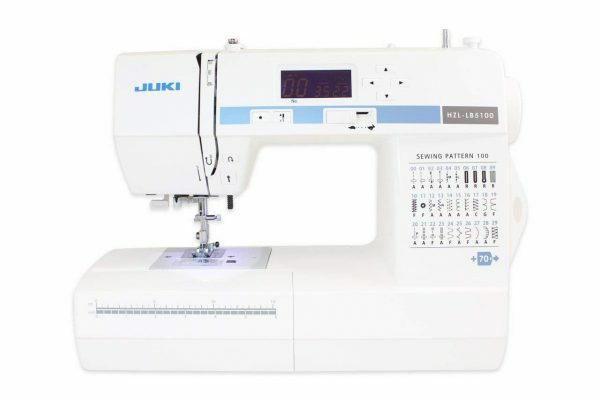 Juki HZL- LB5100 is a computerized sewing machine and is one of the best models to sew with. However, this claim alone can never get one to purchase this machine right away. This is definitely because some things despite being perfect may not work out for you. Right? To your fortune, we acknowledge this and are here to side you! We realize that you require deep information about this model to be sure. So, from purchasing the machine to testing this machine for you; we present you this post. This post is specifically about the Juki HZL-LB5100. We have made sure that everything has been covered from the customer’s view. Excited to find out? Brace yourselves for below is everything that you need to know! 0.7 Should You Buy The HZL-LB5100? 0.8 Where To Buy The Juki HZL-LB5100 Computerized Sewing Machine? Juki Corporation is a Japanese brand. 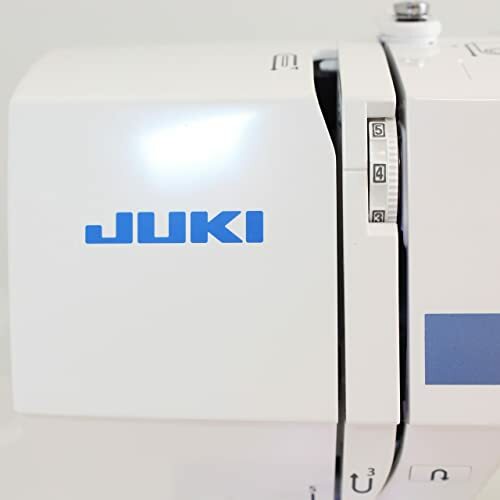 From industrial to domestic sewing machines, Juki is well-known for producing the best models. But the real catch? This Japanese brand holds an honorable position in the market. 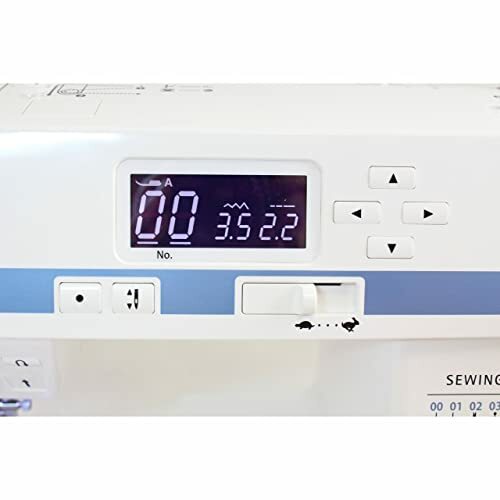 In fact, it is regarded as one of the best sewing machine brands in town. Their sewing machines are of high quality. They also feature a variety of advanced features. Additionally, those features are user-friendly too! But is that it? Definitely, not! Juki has a wide variety of sewing machines on the table. You can choose whatever fits you the best from this pool! Want something to craft perfection? 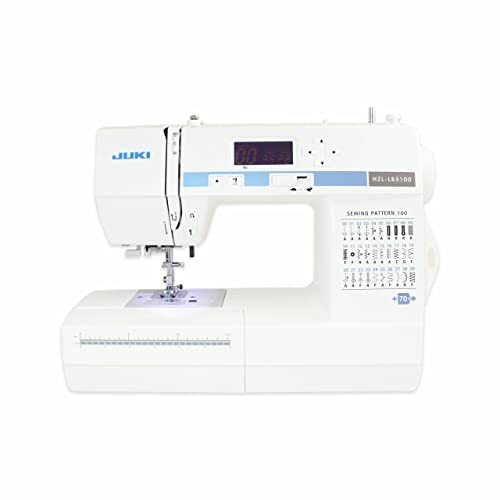 If yes, Juki HZL-LB5100 computerized sewing machine is definitely worth a purchase! Before we move onto the specifications, let’s first have a look at the features the machine has to offer. So, are you ready for it? Keep reading to find out! 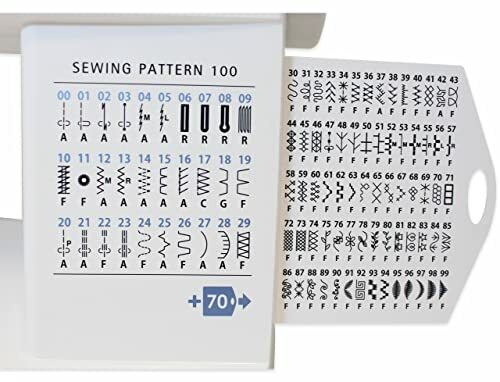 Stitch Patterns: The machine offers 100 stitching patterns. LCD Screen: The machine has an LCD screen display. It is because the model is computerized. Stitch Chart: The model features a stitch chart. Needle threader: There is an automatic needle threader for the user’s ease. Feed Dog System: A 7-point feed dog system is available for better fabric management. Variable Speed Override: The model exclusively offers a variable speed override. 1-Step Button Hole: The machine offers a one-step buttonholer for crafting virtually perfect buttonholes. Needle Up/Down Positioning: A feature for positioning the needle is available. Lock Stitches: There are two automated lock stitches as well. Free Arm: With this feature, you can easily sew cuffs, sleeves, and leg pants. Drop-in style of bobbin: This coupled with a super easy bobbin winding system is available. Drop Feed System: The unit also features a convenient drop feed system. Bright LED Light: This enables you to work easily even in the dark. Stitch Length and Width: Using this machine, you can easily customize the length as well as the width of the stitches. The max length that can be produced is 5mm. Meanwhile, the max zigzag width is 7mm. DVD and manual: Instructional manual and a DVD is also included. This is highly useful for a start-up. Warranty: The HZL-LB5100 is backed up by a 5-year warranty. The model has a very simple yet decent look. It is also perfect for carrying around. However, it might not be the fancy-by-looks model, but its features are definitely are worth a watch! The machine is white in color. Since it is computerized, it has an LCD screen display. Stitch designs are also available at the front to choose from. Overall, the machine is compact with a simple design. Machine weight only 12.3 lbs. This sewing machine also comes with certain accessories named the standard accessories. To find out about them, keep going ahead! Should You Buy The HZL-LB5100? 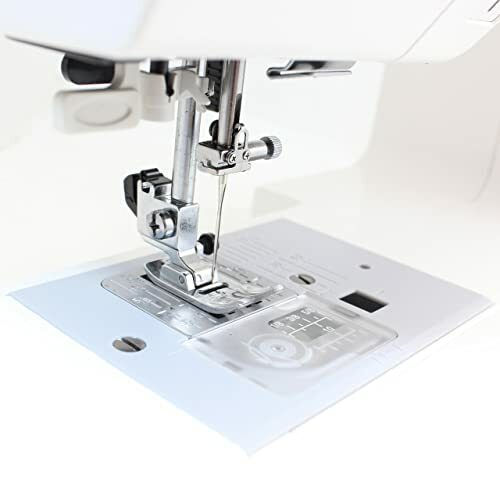 The Juki HZL-LB5100 Computerized Sewing Machine is a perfect choice to craft a number of projects. In addition, it offers a wide variety of features that range from simple to advanced ones. So, everything including your clothes and the home décor items can be done. You may also choose from the 100 built-in stitch designs. But the best part? The option of customizing the stitch length and width is also available. Furthermore, the 1-step buttonholer available can create virtually perfect buttons. But does it end here? Definitely, not! Juki is known to produce machines that are one-of-a-kind, and this is pretty clear in the HZL-LB5100. Not only does it come with numerous features, but it is also easy-to-use. All the features are also very user-friendly and of great use. Thus, the machine is ideal for both beginners and experts. However, with all this, the model comes with some negatives as well. To unravel the advantages and disadvantages of this model; keep reading ahead! It has a slow stitching speed relative to its competitors. Where To Buy The Juki HZL-LB5100 Computerized Sewing Machine? It is highly recommended that you order the Juki HZL-LB5100 through the official website or official retailers. The product can also be purchased from any retailer or shop as well. But make sure that the source is authentic. It must be a reliable or a trusted one so that you don’t become a victim of fraud. Generally, Juki products are highly well- known so you can get them from almost all home appliance shops. Now that you know more details about the Juki HZL-LB5100, is this what you wanted? If yes, then what are you waiting for? So, get your hands on the Juki HZL-LB5100 computerized sewing machine and get started on your sewing projects right away!